Inspired by the ski slopes of Colorado, these vintage-style knit beanies will keep you warm and stylish. 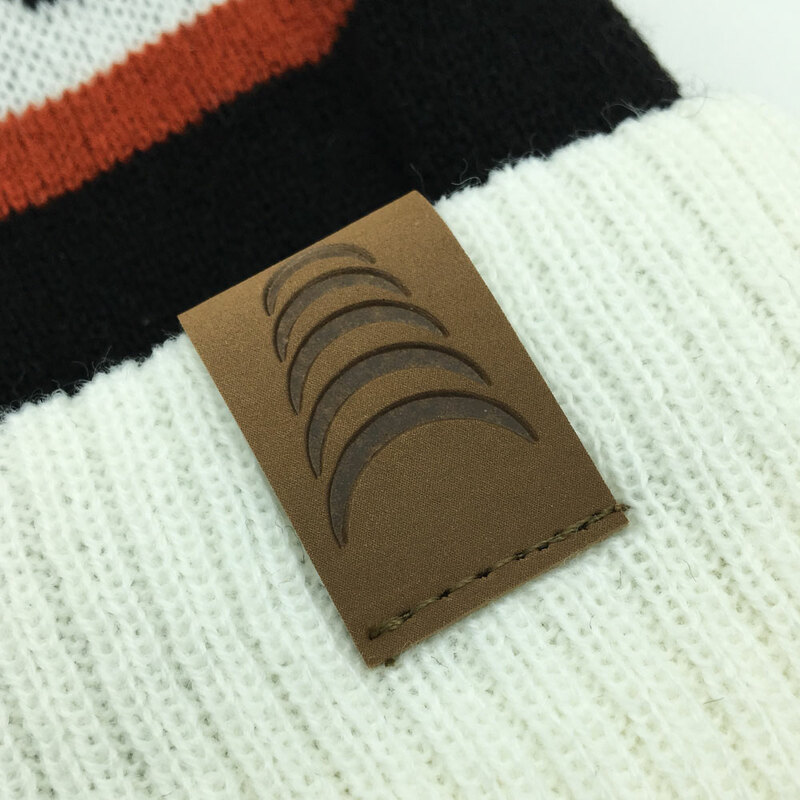 These hats feature a brown leather patch debossed with the Low Boy logo and a classic pom-pom on top. 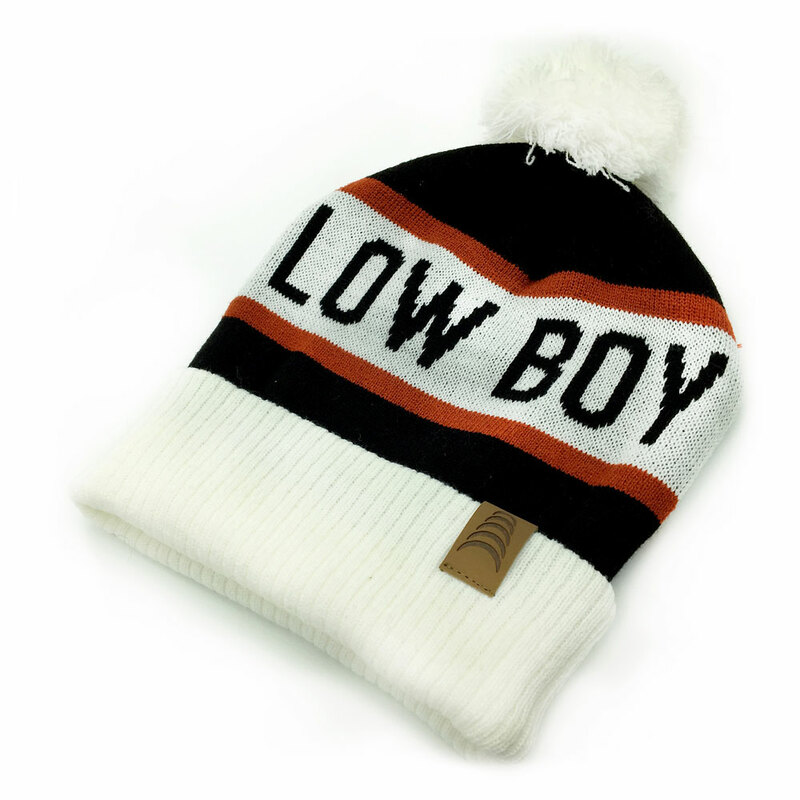 The knit Low Boy logo leaves no confusion about which beaters you rock on stage!